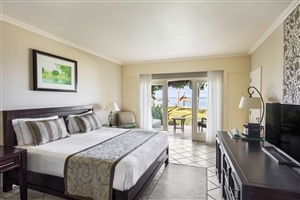 Effortlessly blending contemporary touches with the traditional style of a colonial mansion, Sugar Beach Resort is a fabulous Mauritius holiday resort. 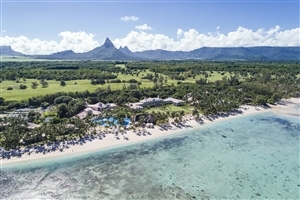 Comprising of 16 Mauritian Villas, each containing 10 to 12 rooms each, Sugar Beach Resort is nestled into 12 hectares of fragrant, tropical garden and overlooks the sparkling Indian Ocean. Perfect for couples and families alike, Sugar Beach Resort offers a plethora of activities befitting of its five-star status, including a reviving beachfront swimming pool, an exclusive Spa and Hammam and a selection of superb restaurants blending Mauritian flavours with international classics. 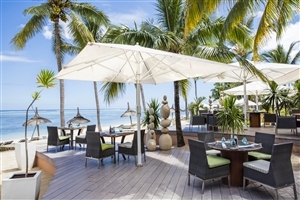 The stunning Sugar Beach Resort is located on the leeward west coast of Mauritius. 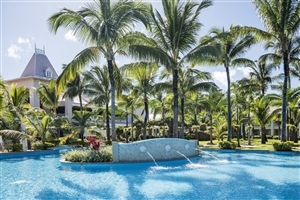 The hotel is set over half a kilometre of sandy beach and represents the best in contemporary plantation-style architecture. 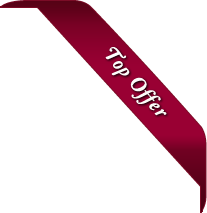 The hotel’s superb facilities and elegantly decorated rooms ensure guests will enjoy both a stylish and fulfilling stay. The resort is the perfect place to relax - with 30-acres of beautiful gardens. During the day, there’s a variety of water, land sports and activities to take-part in. Enjoy the romance of the starlit tropical sky at night and sample the glorious food. 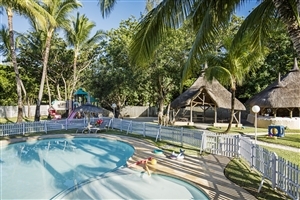 The range of facilities makes it an ideal choice for couples and families to experience the best of Mauritian hospitality. 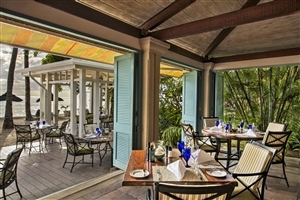 Guests may also use the restaurants of its sister property La Pirogue located next door. 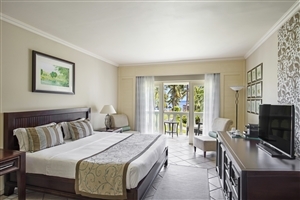 The Garden Manor House at Sugar Beach Resort offer 40sqm of accommodation space designed with tropical overtones and elegant furnishings throughout. The room features a private balcony or terrace that overlook the gardens. The Sea View Manor House at Sugar Beach Resort offer 40sqm of accommodation space elegantly furnished with plush comforts and conveniences. 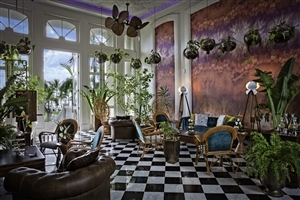 The room features a private balcony or terrace that overlooks the ocean. 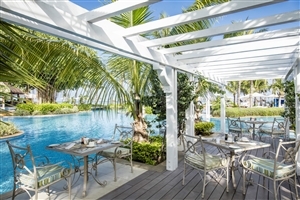 The Sea Facing Villa at Sugar Beach Resort offer 40sqm of accommodation space nestled amongst the natural splendour of the resort's tropical gardens. The villa features a private balcony or terrace that overlook the gardens. The Beach Front Villa at Sugar Beach Resort offer 40sqm of accommodation space that exudes a distinct Creole style with its many lavish comforts and designs. The villa features a private balcony or terrace that overlooks the sea while also providing direct beach access. The Family Suite at Sugar Beach Resort offer 80sqm of accommodation space that boasts of enough space to ensure family travellers are well taken care of. 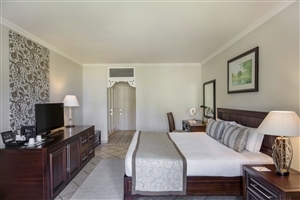 The suite consists of a Garden Manor and Sea Facing Villa brought together and converted into a Family suite. 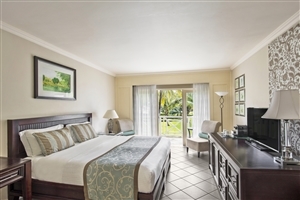 The Family Suite at Sugar Beach Resort offer 80sqm of accommodation space that boasts of enough space to ensure family travellers are well taken care of. 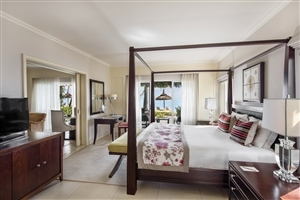 The suite consists of a Sea View Manor and Beach Front Villa brought together and converted into a Sea View Family suite. The Sugar Beach Suite at Sugar Beach Resort offer 80sqm of accommodation space that elevates travel experiences to a premium level. The suite features a private terrace, boasts of sea views and also provides direct beach . Mon Plaisir – Main restaurant serving extensive buffet breakfasts and a variety of delicious international fare for dinner. 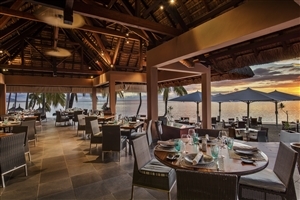 Tides – Beachside setting to enjoy a spot of light lunch, blending international and local Mauritian flavours. Cirtonella’s Café – Italian ‘market place’ serving tempting lunches and dinner, with dishes including pizzas and salads. Gov's Flowers - Continental breakfasts, afternoon teas andevening cocktails served in a floral-inspired setting. Tides Bar – Refreshments and snacks served at this beach front setting. La Brasserie - French-inspired cafe serving meals, refreshments and even Cuban cigars. - Sports bar offering games and big screens. Cirtonella’s Bar – Aperitifs served before and after dinner. Beach Trolley Bar - Refreshments on the move, this trolley serves beverages and snacks.